Ambiance Today is a floral design company specializing in wedding and event decor. Established in 1996, it is located in Honolulu, Hawaii. Tropical as well as "mainland" temperate floral bouquets/arrangements and fresh floral lei are custom designed to fit your needs. Floral instruction for individuals or groups is available both in and out of state. 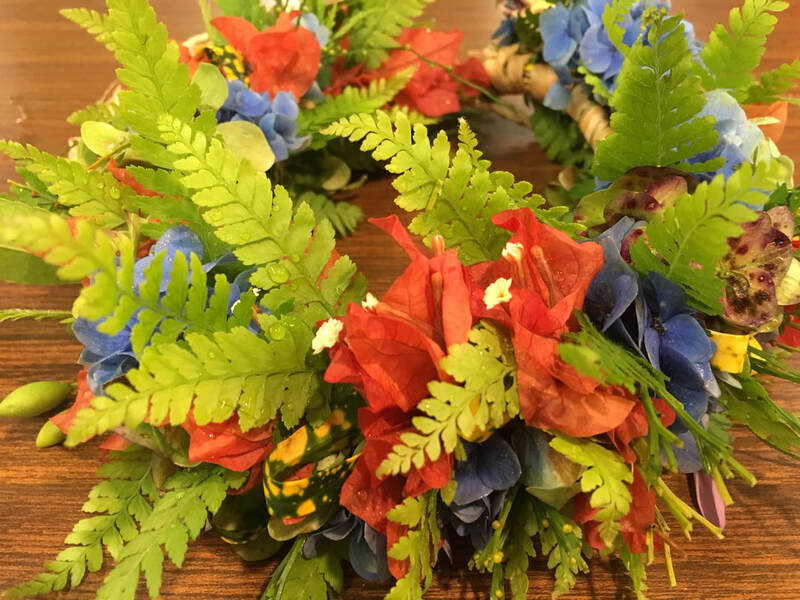 Recent presentations and workshops have included the California State Floral Association in 2009, the Lyon Arboretum, Honolulu in 2010, the Kauai County Fair 2009 and 2012 and several private workshops.